Woollyhugs > Latest.. > Auction > Spring Auction 2019 > Spring Auction. Number 26. Easter egg wreath complete with bunny and daffs! 26. 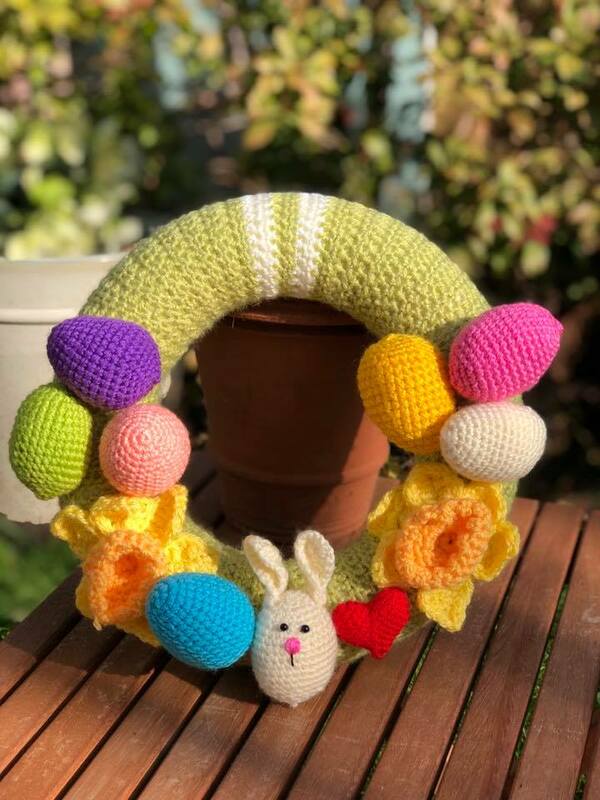 Easter egg wreath complete with bunny and daffs! The wreath base is 28cm in diameter and is covered in spring like pistachio. Comes with hanging hook. item name : Spring Auction. Number 26. Easter egg wreath complete with bunny and daffs! Spring Auction. Number 24. Gorgeous hand felted card. Seagull!